The TREZO 100 series are the most popular machines of domestic use that serve to cut paper, all types of leaves, eg. tea, tobacco or herbs, etc. 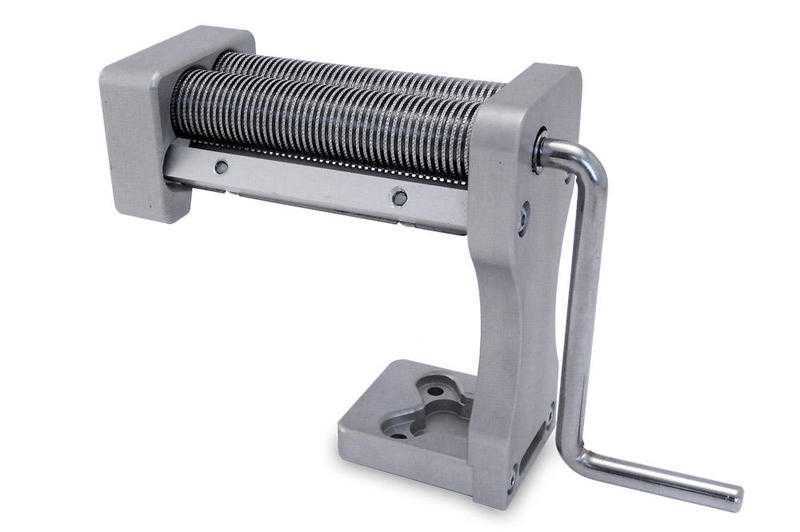 The equipment in this series is characterized mainly by a light and at the same time resilient structure of aluminum, inside which have been installed two cutting rollers of length 100mm, with adjustable teeth. All quick wear parts can be replaced with new ones available in our offer. The substitution of the elements will not be difficult for anyone. In a few minutes you will change the elements to new ones. The TREZO 100 1.1 manual machine is only intended for service with the 1.1mm tooth spacing. Thanks to the fixing of the rollers in the sleeves, their lubrication is not necessary.